Mix Truffle Chocolate packed in a basket pauch will be loved for its delicious taste and texture. Soft dark chocolate with fresh cream enrobed with bitter chocolate will be delighted a lot to the receiver for sure. This gift hamper has been designed to be gifted for such special occasions like Birthday, Anniversary and many more. The overall look of the combo is very classy which will be cherished by him every time tasted. Chocolates are very rich in taste. Chocolate lover will appreciate the harmonious and lingering character of this delicacy. This gift combo is comprises of truffle chocolates. 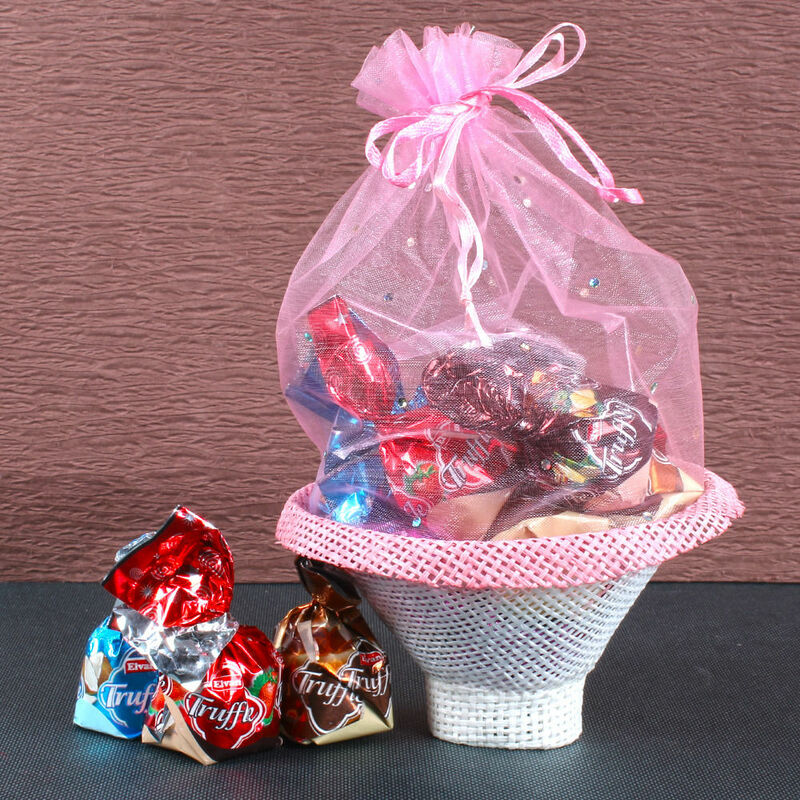 Product includes : Basket Pauch of Assorted Truffle Chocolates (Weight : 200 gms).